Violence in Sudan’s Darfur has surged to levels not seen in a decade, with more than 150,000 people driven from their homes this year alone. The region’s long-suffering residents are also bearing the brunt of a measles epidemic. It is a conflict to which the international community appears to have no answer and which risks being overshadowed by other crises in East Africa and beyond. The humanitarian and security challenges are vast. Conflict between different communities in Darfur, some encouraged by the government, started in the 1980s, and violence escalated dramatically with a rebellion in 2003. Political and economic marginalization by the Arab-dominated government of President Omar al-Bashir was a key driver of the war. Khartoum’s counter-insurgency campaign has relied heavily on locally-recruited Arab militias who have been accused of mass killings of civilians in non-Arab areas suspected of supporting the rebels. According to the UN, the conflict has left as many as 300,000 people dead and displaced another 2.5 million. Over the years, the conflict has grown increasingly complex, with rebel movements splintering into numerous rival factions – some of which made peace, at least temporarily - and Arab groups turning against each other and the central government in ethnic disputes often linked to land rights and political power. After years of failed international peace initiatives, and the indictment of Bashir by the International Criminal Court for crimes including genocide, the conflict has intensified since 2013 with the government launching dry-season offensives against the rebels in Darfur as well as the neighbouring Kordofan region. This year, government troops, including former militias now called Rapid Support Forces, have attacked numerous settlements in purported rebel strongholds including the Jebel Marra mountains. Recent media reports show scores of civilians sheltering in caves in the mountains, and telling of an aerial bombardment near the village of Golo in January that left an unknown number of people dead and others wounded. In May, the government paraded trucks piled high with weapons they said were seized from the rebel Justice and Equality Movement after a major battle in the Tullus area of South Darfur on 26 April. There have also been several major tribal clashes. 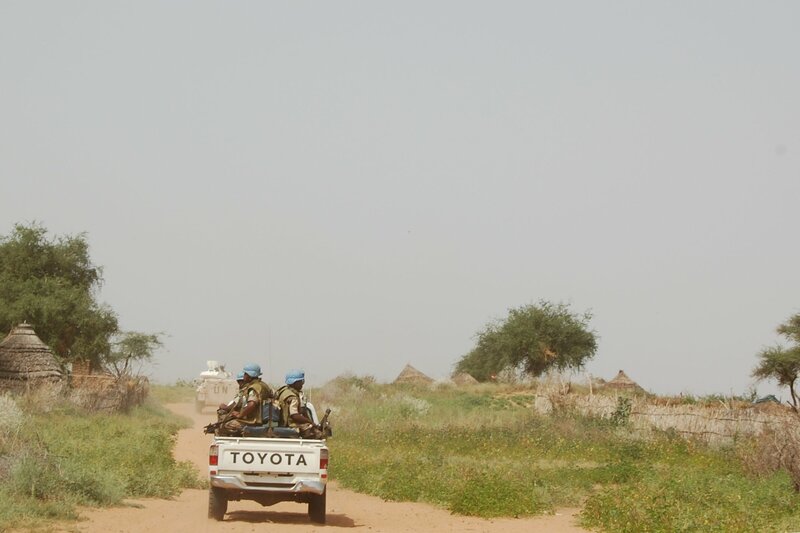 Most recently, fighting broke out on 11 May between Ma’aliya and Reizegat tribesmen near the town of Abu Karinka in East Darfur state over a long-running land dispute. The battles reportedly left hundreds of dead and wounded and displaced thousands. The two Arab tribes have clashed repeatedly in recent years, despite mediation efforts. Hundreds were killed and thousands displaced by fighting between the two groups in the same area last year. In North Darfur state, a series of deadly attacks this year has fomented tensions between the Berti and Zayadia tribes and displaced thousands more people. Berti student leaders reportedly suspect Musa Hilal, a prominent Arab militia chief, of stirring trouble in the province. Hilal is a political rival to North Darfur’s Berti governor, Osman Mohamed Yousif Kibir, who stands accused of recruiting an ethnic militia of his own. In all, about 430,000 people have been displaced in Darfur since the start of 2014, bringing the total in the region to 2.5 million, according to the UN. Some 1.5 million of those are children. About 3.1 million people are displaced in Sudan as a whole. Many internally displaced persons (IDPs) in Darfur have little prospect of returning to their homes. Aristide Nononsi, the UN independent expert on human rights in Sudan, said after visiting Darfur in May that the displaced lived in fear of armed groups and criminality. While most IDPs want to go back to their homelands, “many interlocutors whom I met, in particular in North and South Darfur states, remain anxious about the security situation in their areas of origin… as well as the restoration of sustainable peace in the region,” Nononsi said in a statement. The fighting around Abu Karinka reportedly saw more than 650 homes burned, and an estimated 24,000 families displaced. Hundreds more families fled with their livestock to neighbouring North Kordofan state before violence broke out, according to the UN’s humanitarian coordination body, OCHA. “The victims are in need of water, food, shelter and medecines,” East Darfuri humanitarian aid commissioner Abdu Abdelmahmound said on May 15. According to UNICEF, the UN children’s agency, more than 9,000 new IDPs had arrived in the Mellit locality alone as a result of the fighting between the Berti and Zayadia tribes. It said it was also assisting new IDPs in seven other locations in North Darfur. A long-standing problem facing humanitarian agencies in Darfur has been access to vulnerable populations, particularly in active conflict zones. After the violence in Abu Karinka, for example, OCHA said humanitarian partners were standing by to move food, emergency shelters and household items. However, authorities have denied UNAMID – the joint African Union-United Nations peacekeeping mission in Darfur – access to the town to carry out an assessment. More broadly, OCHA said that access restrictions and insecurity had prevented it and its partners from verifying the situation of 92,000 of those reportedly displaced by recent fighting, including in the Jebel Marra mountains. Militias allied with the government have long been accused of adopting “scorched-earth” tactics, destroying homes and livelihoods in rebel strongholds and thus contributing to high levels of malnutrition. 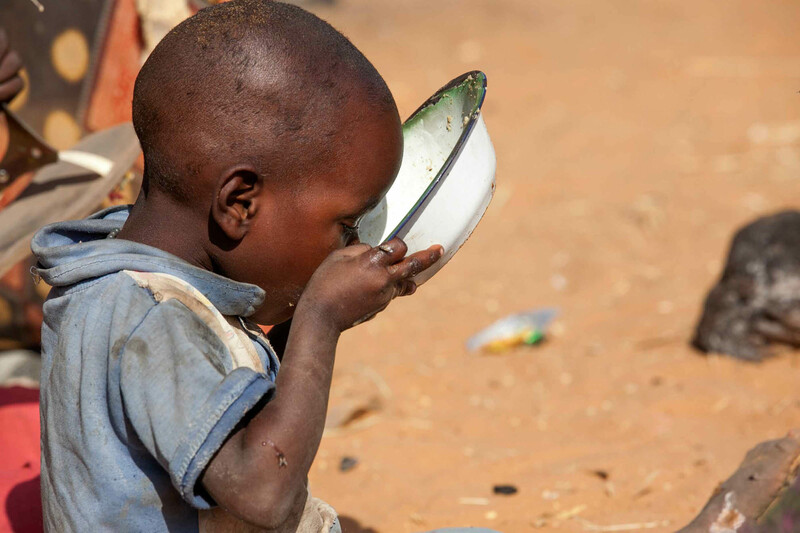 According to UNICEF, some two million Sudanese children under the age of five suffer from chronic malnutrition, of which 550,000 are severely malnourished and at risk of death. The International Committee of the Red Cross (ICRC), which resumed work in Sudan in September after an eight-month suspension, recently appealed to donors for more funds so that it could expand its operations in Darfur. According to UNICEF, frequent population displacement and high rates of malnutrition as well as very low vaccination rates contributed to an outbreak of measles in April. The disease has since reached epidemic levels in 14 states, prompting UNICEF to launch a nationwide vaccination campaign. Of the 35 reported deaths so far, 25 have occurred in Darfur. UNICEF country representative Geert Cappelaere said about 50,000 children are being deprived of humanitarian aid, including essential vaccines, in the Jebel Marra area. The UN’s 2015 response plan for Sudan seeking about US$1 billion is just 28 percent funded, leaving huge gaps in areas including security and livelihoods assistance. UNICEF said its Sudan 2015 appeal was only 14 percent funded. Humanitarian agencies also face a vastly diminished operational capacity since the government expelled more than a dozen international aid groups in 2009. According to OCHA’s Rance, the number of aid workers in Darfur has fallen from 17,700 before the expulsions to just 5,540 in November last year. “This decline in skilled workers obviously leads to a significant capacity deficit, particularly when seen against that fact that we have seen more new displacement in 2014 than in any single year since 2004. Accordingly, the ability to deliver adequate levels of basic humanitarian services has been adversely affected,” Rance said. The prospects for an end to the conflict appear bleak. While President Bashir, who was elected to another five-year term in April, has said he will launch a national dialogue after his inauguration, it remains unclear which members of the opposition and rebel movements will take part. Analysts and opponents say Bashir’s apparent divide-and-rule policies in Darfur, which have seen the region divided into five provinces, are unlikely to change. Meanwhile, the UNAMID peacekeeping mission has faced accusations of timidity and of covering up abuses by Sudanese government forces and is under pressure from Khartoum to scale back its mission or withdraw completely. Reports of abuses continue unchecked. “Our concerns run the gamut from conflict-related abuses such as attacks on civilians by government forces and sexual violence by the RSF, to indiscriminate aerial bombing on villages, and the utter lack of accountability,” said Jehanne Henry of Human Rights Watch. *An earlier version of this article gave an incorrect account of the start of conflict in Darfur.